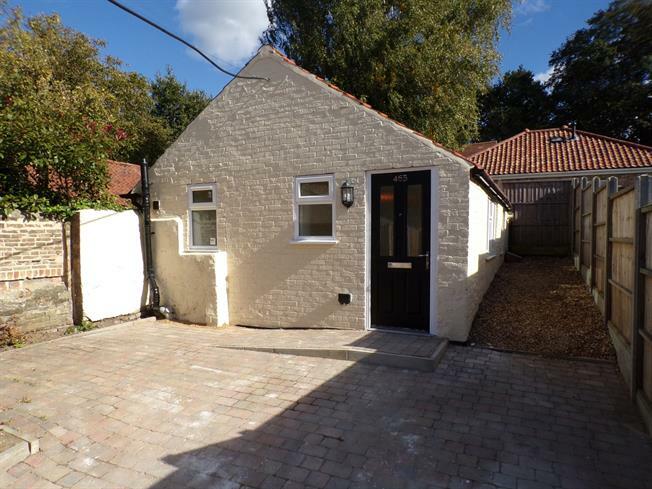 2 Bedroom Detached Bungalow For Sale in Norfolk for Offers in excess of £145,000. Light tunnel. Fitted with a range of light grey wall and base units, with worktop over incorporating a sink and drainer unit. Built in oven, hob and stainless steel extractor hood. Space for washing machine and fridge. Window to side. Fitted cupboard housing new gas central heating boiler and providing storage. Radiator. Window to front and light tunnel. Radiator. Light tunnel. Fitted with a three piece suite comprising of panelled bath with shower over and screen, vanity wash hand basin and low level toilet. Chrome heated towel rail. There is pedestrian access to the property, with a gate leading to a brick weave and gravel courtyard garden, with flowering borders. There is no off road parking with this property.